Selling a commercial vehicle is a really difficult task especially if you do it independently. If you own an old truck or van that you’d love to get rid of, it can be a really stressful job. But, the good news is that you can escape this daunting experience by using the Auto Wrecking Service in Auckland. With their reliable service you can easily get a generous cash for commercial trucks. They will remove your commercial vehicle in form of damage. Plus, you can have it towed away for on the spot cash. Why hire Commercial Truck Wreckers to scrap your commercial vehicle? Truck Wreckers are one of the best place where you can sell your old commercial vehicle with minimum hassle. They work hard to satisfy their customers and maintain a good reputation in the industry. 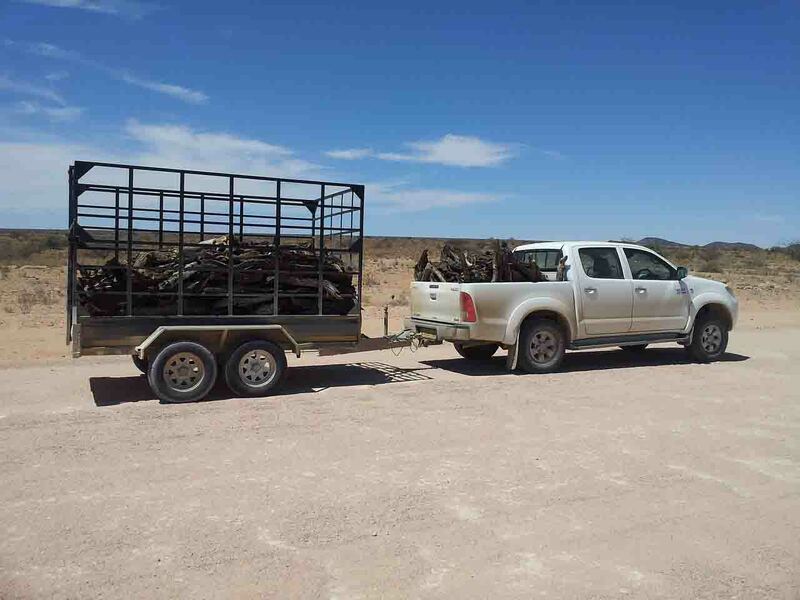 Here are a few more reasons to choose truck wreckers for scrapping your commercial work vans or 4wd trucks. You can get a free and no-obligation quote at any hour of the day. As most commercial wreckers work on 24/7 basis. Popular Truck Wreckers in Auckland, not only help people to get rid of their unwanted automobile. They also take care to properly dispose the collected vehicles by applying eco-friendly methods. Their experts make sure to carefully dispose of the motor oil, coolant, fuel, windshield washer fluid and other toxic fluids. It is because they understand that these liquids have a very undesirable impact on the environment. If a junk truck is left to deteriorate in open space its harmful fluids and substances can leak out. It can severely contaminate the water supply and harm the surroundings. Commercial Auto Wreckers are skilled to deal with every kind of work vehicles. It could be written-off, accident, salvage, rusted, broken, no WOF, dead or alive. The truck dismantler’s team will still assess its best worth in terms of the quantity of scrap metal and parts it consists of. If you hire a professional truck wrecking company, they will buy any vehicle regardless of the brand. They don’t limit their purchasing habits to only heavy vehicles like, work vans, Utes, trucks, busses, Lorries, 4wd’s, SUVs, camper vans, etc. But they also buy cars and other family vehicles. They will even hand over you the best cash before towing away your wheels. Being skilled in their business vehicle wreckers love to deal with most popular brands. Auckland’s Nissan, Subaru, Mercedes Benz, Mitsubishi, Hiace, Jeep, Ford, Honda, BMW, Isuzu, Hyundai and Toyota commercial wreckers are always happy to buy your truck for the best price. When it comes to fixing a broken commercial vehicle, it can be really difficult to find quality parts. Plus, you will have to spend a lot of dollars if you look for new components. So, why not buy quality spare parts from 4×4 dismantlers in Auckland. That’s right, they are a reliable source for getting top quality second hand parts. No matter, what is the size and shape of your Commercial Automobile. You can always find a variety of good quality parts at a used car part inventory. They supply parts that satisfy the customer requirements within the budget. Whether you want to get a free removal appointment or buy a top quality spare part. Commercial Wreckers are the best option to go with. All you need to let them know about the type of vehicle you are looking to sell along with its basic details. You can fill the details in their online form or make a call. Good luck dealing with commercial truck dealers in Auckland. How to sell your commercial truck fast & effectively?